Mink Property focus on SALES ONLY in Mooloolaba, Mountain Creek, Brightwater, Kawana Island, Birtinya, Wurtulla, Bells Reach, Caloundra and Minyama areas, but we do service the entire Sunshine Coast. 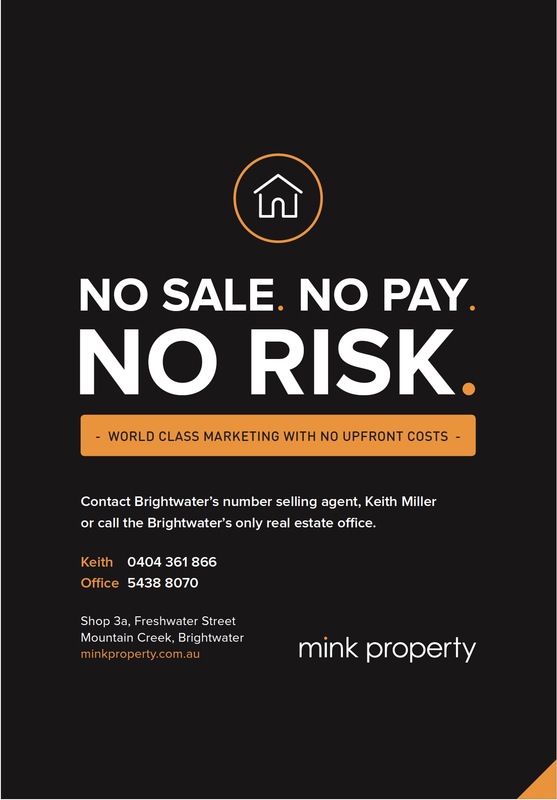 Mink Property are based in the popular Brightwater Estate in Mountain Creek on the Sunshine Coast, Mink Property is independently owned and operated, and is set to create a benchmark for premium results across the region.We specialise in homes for sale, units and vacant land sales on the Sunshine Coast. Mink Property is an established, boutique agency built on a solid foundation of experience and innovation, specialsing in residential sales ONLY across the Sunshine Coast. The Mink Property brand is a promise, a company that speaks from the heart. We take a fresh, new and modern approach to real estate by offering our clients an unbeatable commitment to achieving the best possible outcome. We pride ourselves on a genuine and truly committed service, and have quickly built a reputation for being leaders in creativity and innovation, while fast becoming the agency of choice.We have a team of experts that provide an incredible wealth of knowledge and proficiency delivering exceptional results for our diverse client base. Our vast network of capabilities allows us to offer a broad range of expertise to deliver an integrated service we effectively manage with experienced professionals that guarantee our clients peace of mind. Our drive and determination to achieve inspiring results comes from a passion to exceed expectations. We are determined to be different and strive to go that extra mile. We welcome you to our office in Brightwater to gain a better understanding of our services and capabilities in a relaxed and friendly environment. The "Mink Property" brand is a promise, a company that speaks from the heart. Working on true values and beliefs that are rare in the real estate industry. Accompanied with an edgy, modern brand brings a level of innovation and quality to areas that are over saturated with generic and corporate brands.